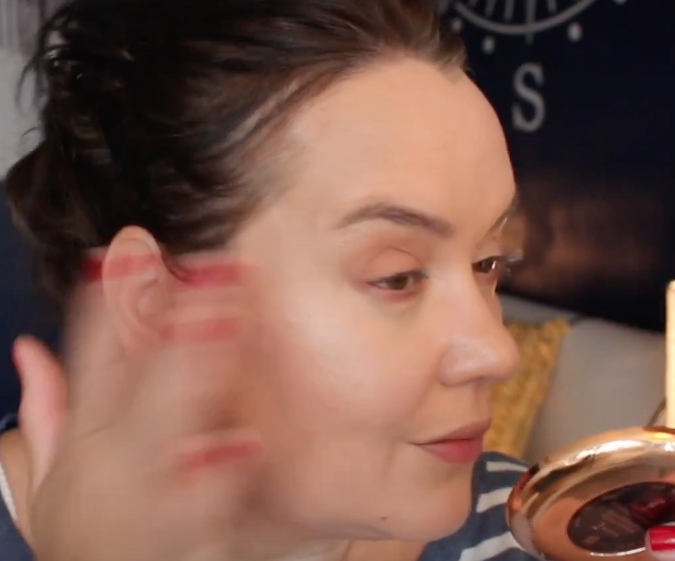 MissLyn, a brand that sits quietly in the land of colour and needs to be pushed to the front of the makeup queue, this brand and its products pack a punch in both quality and value for money. Cosmo Glow and Star Bright are part of a new launch and a highlight for me in more ways than one, the quality, the pigment and the choice of two highlighters fluid or powder. A soft focus creamy highlight in the shade 2, Big Bang Glow, a silvery/golden/rose sheen of glow, without the sparkle, flattering and bounces the light, giving that dewy look to makeup. 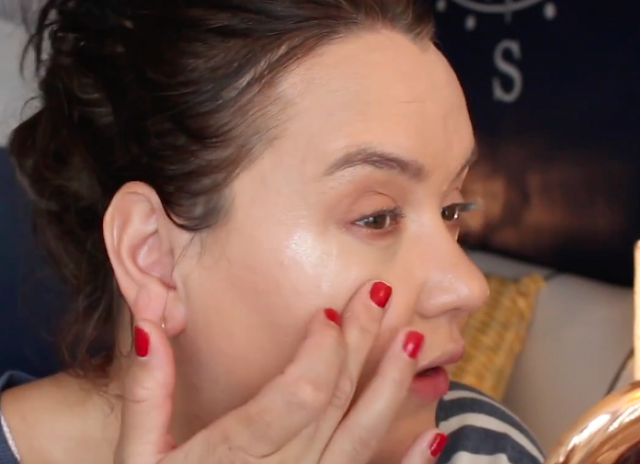 The fluid is easy to apply, I used my fingers and it glides over existing makeup without disturbing anything, it pats down to a subtle sheen that catches the light and looks natural, polished and is effortless to apply. The perfect choice if you prefer a subtle highlight finish. 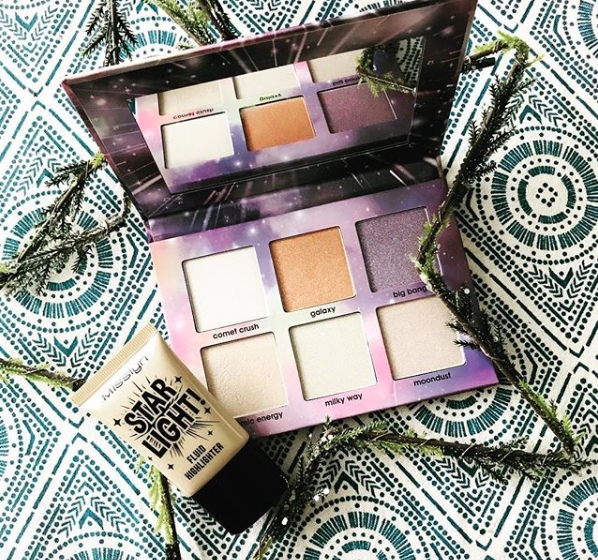 Next, a Cosmic offering, the 6 pan highlighter powder palette, Cosmic Glow is out of this world! 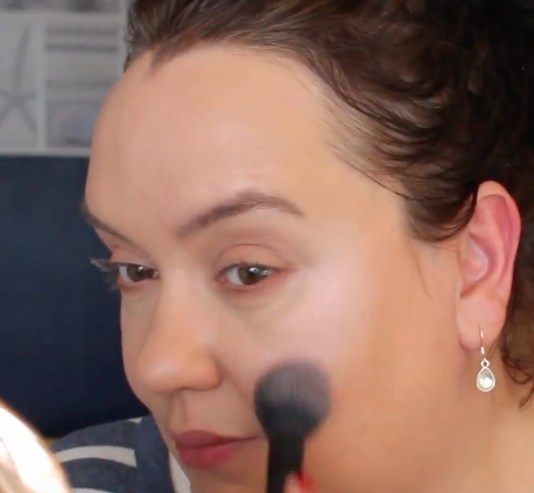 Look at the sheen, again, you can see the application in the video I have linked above in this review. The pigment was astounding, visible from space, but, not glittery, a luminous finish to the highest points of the face, if, like me, you have a round face, football, moon-shaped, whichever you recognise yourself as, don't disguise it, work the glow in a rounded shape, see above, applying in harsh stripes I feel looks odd when my face craves curves and roundness. A palette that packs a punch, the pigment is strong with the this, the glow insane, forget others you've seen, THIS is the only palette you need. Milky Way tempts you with the smoothness of the powder, the shade lifting and giving a silvery finish with a warm tone. Galaxy compliments any bronzer, offering warmth and light, a change from the standard, gold or silver dewy cheekbones. Moondust replicates in powder form the Star Light shade, delicately silvery with a pearl hue. Comet Crush has a violet hint, silvery, but, catch the light and all is revealed, not over-powering, just enough to make it different. I used Cosmic Energy in the video, this has a rose gold edge and adds a lovely softness to the areas it's applied to.